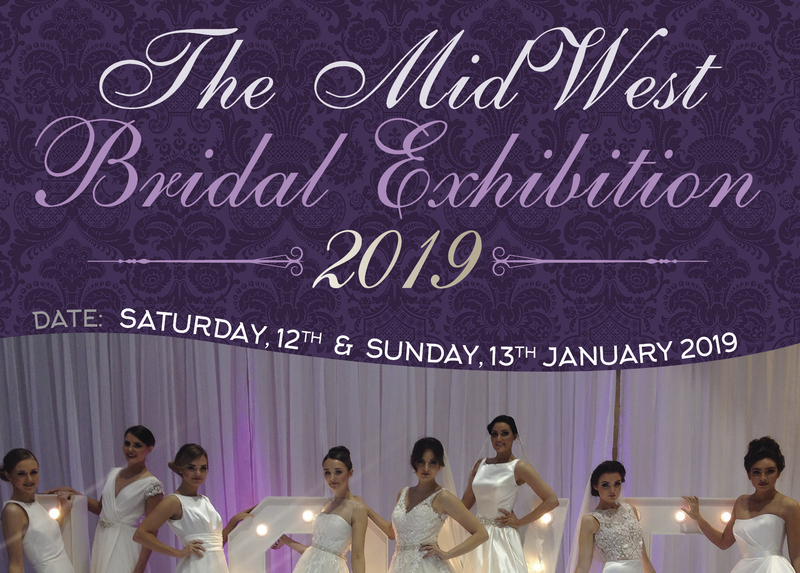 The Mid West Bridal Exhibition 2019 will be held Saturday 12th January 2019 and Sunday 13th January 2019 in the University Sports Arena, Castletroy, Limerick. 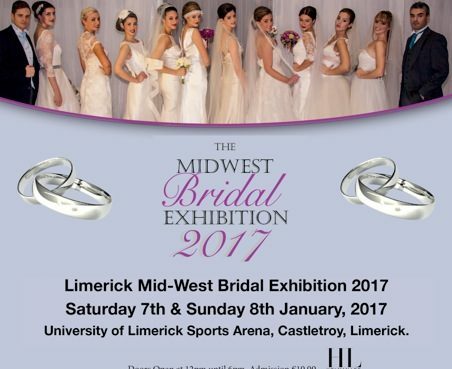 The Mid West Bridal Exhibition, created by The Holman Lee Model Agency and HL Event Management Ltd, is now in its 17th year. 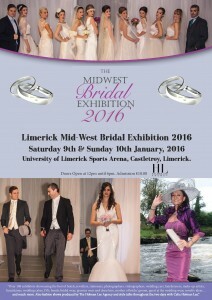 Over 100 exhibitors showcasing the best of hotels, jewellers, stationers, photographers, videographers, wedding cars, hairdressers, make up artists, beauticians, wedding cakes, DJ’s, bands, bridal wear, grooms wear and dress hire, mother of bride/groom, guest at the weeding wear, novelty ideas and much more. 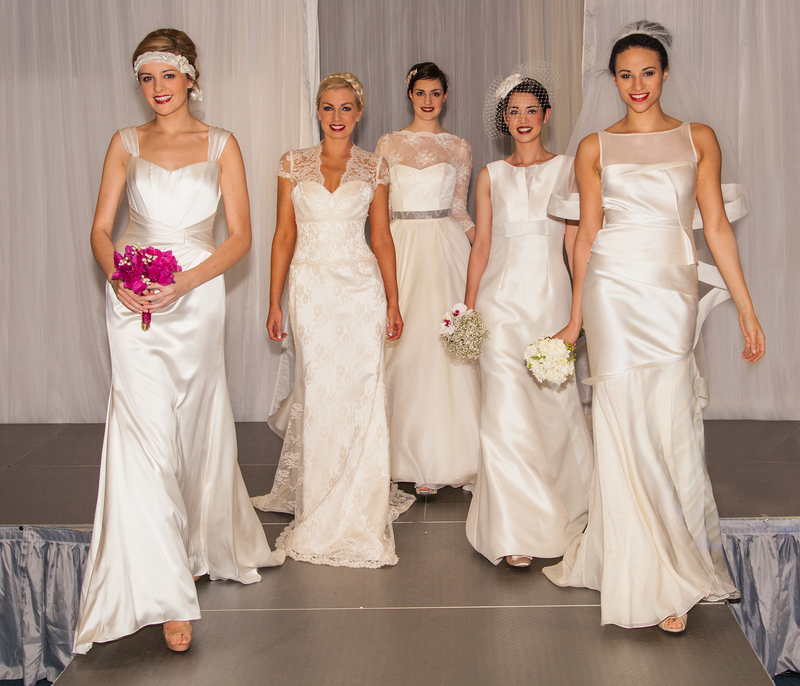 Also, fashion shows produced by The Holman Lee Agency and style talks throughout the two days with Celia Holman Lee . 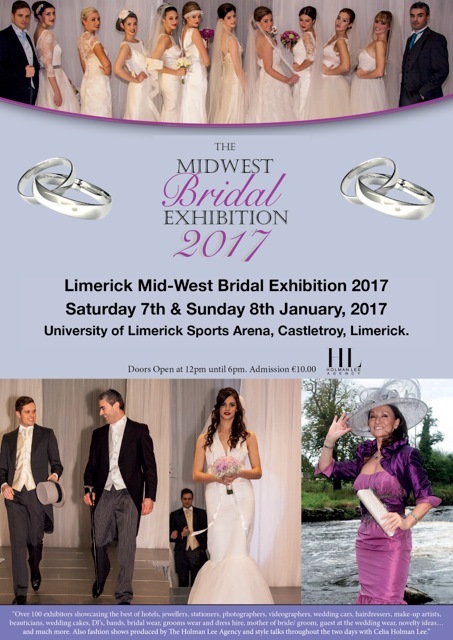 GETTING MARRIED IN 2017 / 2018 ? GETTING MARRIED IN 2016 / 2017 ?